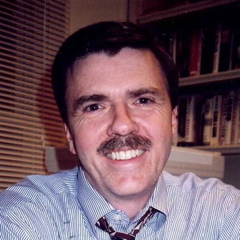 From Editor Robert Parry: The other day, I was on a West Coast radio show and a caller accused me of “trying to rewrite history” a charge to which I must plead guilty. For the past 16 years, a core purpose of Consortiumnews.com has been to “rewrite” history when we dig up new evidence that shows that the old version was wrong or incomplete. In doing so, we don’t care that the Widely Believed Story has many Esteemed Defenders. We simply present the facts in context. For instance, the caller to the radio show was protesting my article about Richard Nixon sabotaging the Vietnam peace talks right before the 1968 election. The caller didn’t want to believe that a Republican politician would do such a thing to win an election. And the caller is not alone in wanting to avoid painful truths. We have seen many cases when major news organizations, such as The New York Times and The Washington Post, resist new information when it shows that they bungled or missed the original story. It’s easier for them to ignore the latest evidence than to admit they misled the American people. So, that is where we step in, “to rewrite the history.” It’s where you come in, too. Without your support since we started Consortiumnews.com in late November 1995, large swaths of recent American history would have been left in its old misleading form, from Nixon’s “treason” in 1968, to Ronald Reagan’s treachery with Iran in 1980, to the CIA’s cover-up of cocaine smuggling by Nicaraguan Contra rebels, to many more recent events. Plus, we offer premium gifts. For donations of $100 or more, you can get The Killing Game, a selection of investigative news stories by the late Gary Webb, with an afterword from me describing Webb’s persecution at the hands of the major U.S. news media for his courageous work reviving the Contra cocaine scandal and forcing key admissions from the CIA. For donations of $75 or more, you can get as a premium gift an autographed copy of any one of my last three books: Lost History, Secrecy & Privilege or Neck Deep. Once you make your donation — and if you want one of the premium gifts — simply e-mail us your selection at consortnew@aol.com. Fourth: You can help us close out some warehouse space by buying full boxes of Secrecy & Privilege or Neck Deep for only $56. Each carton contains 28 paperbacks, or you can ask that we give you a mix of half and half, 14 of each. At $56 for a carton, each book only costs you $2. And for U.S. orders, we’ll pay for shipping, too. You can give the books away as holiday gifts or resell them for your own fundraiser. For details about this bulk book order, click here. As always, thanks for your support and thanks for making it possible for us to go on “rewriting” history. So many years have passed that the people who did the sabotaging of the Vietnam peace are writing about how proud they are of putting a Republican president in. I mean that in the big books of how they changed the country they say they did it. I’ve read little bits about it it 3 or 4 times in their books. “Cubana Flight 455” is the latest posting on my Cubaninsider blogspot because I am amazed at the number of Americans (practically all of them as far as I can tell) who have no knowledge of that significant incident in American history. As I continue that posting, I will reference your admirable attempt to get George H. W. Bush to at least answer your pertinent questions prior to and/or after his presidential bid. Just a heads up. I am a pro-democracy conservative Republican with a profound admiration for true journalists such as Robert Parry, Gary Webb, etc. When people say that some new information about history is “revisionist” or “rewriting history,” I say, no, it’s making history more accurate. When research revealed that dinosaurs were quite likely endothermic, feathered, and finished off by an asteroid, did people deride the paleontologists who discovered these facts as revisionists? After all, for decades people had cherished the idea of dinosaurs as scaly, sluggish, and doomed by fate to die. But no, people lauded the scientists who discovered these new facts because they helped give the world a more accurate picture of the past, a truer picture of reality. I wish people were like that with human history as well.